The country’s second largest province has a great many towns. 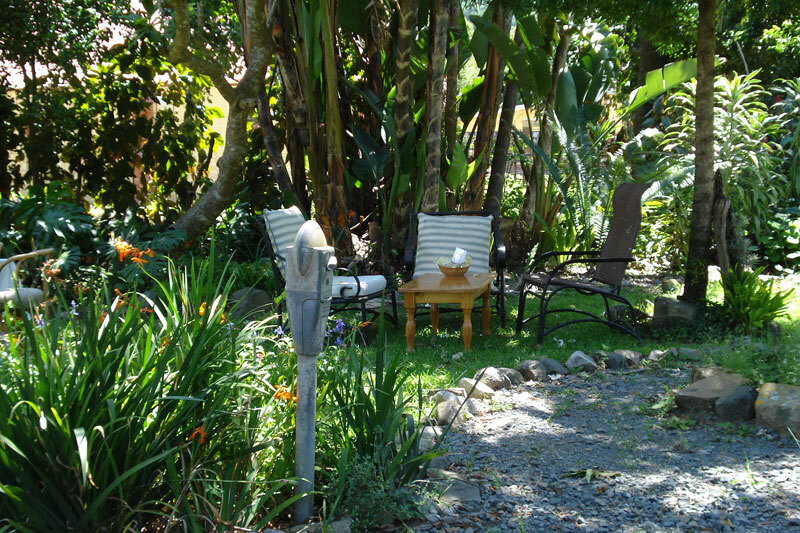 They lie dotted in amongst the Amatola Mountains, the Sunshine Coast, the Great Karoo, the Wild Coast and the Eastern Highlands; serving as holiday bases to a varied and sought-after outdoor lifestyle that has visitors throwing themselves off bridges, surfing the waves, and hiking trails that scale mountains and explore untouched beaches, cliffs and waterfalls. You can’t really separate Cape St Francis from St Francis Bay, just 8 km around the Cape from it. But what makes Cape St Francis the firm favourite is its unpretentious and small fishing village vibe. 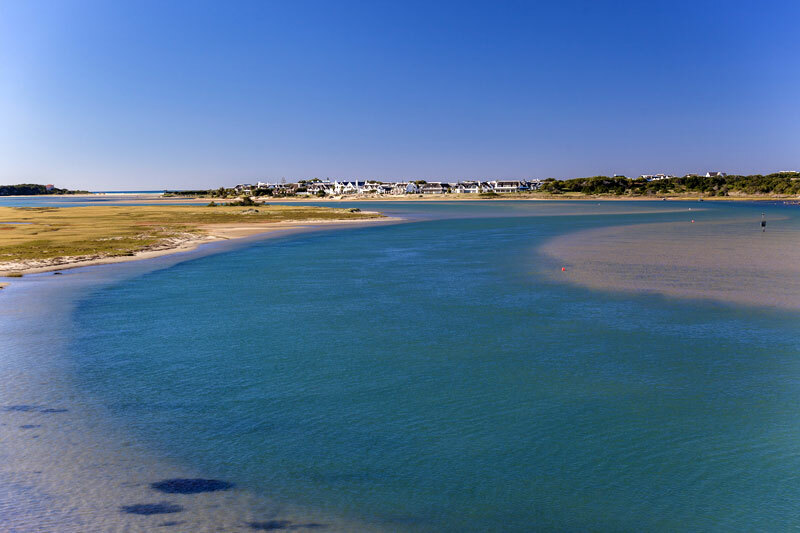 St Francis Bay, on the other hand, is a more upmarket resort of black thatched, whitewashed cottages on the banks of a series of manmade water canals on the Kromme River estuary, full of gazillion horsepower ski boats.To further confuse, there is also a Port St Francis (at the harbour). The beach swimming at Cape St Francis is of the best on the coastline, and next to Seal Point Lighthouse is the Penguin Rehabilitation Centre that often releases birds directly into the sea. 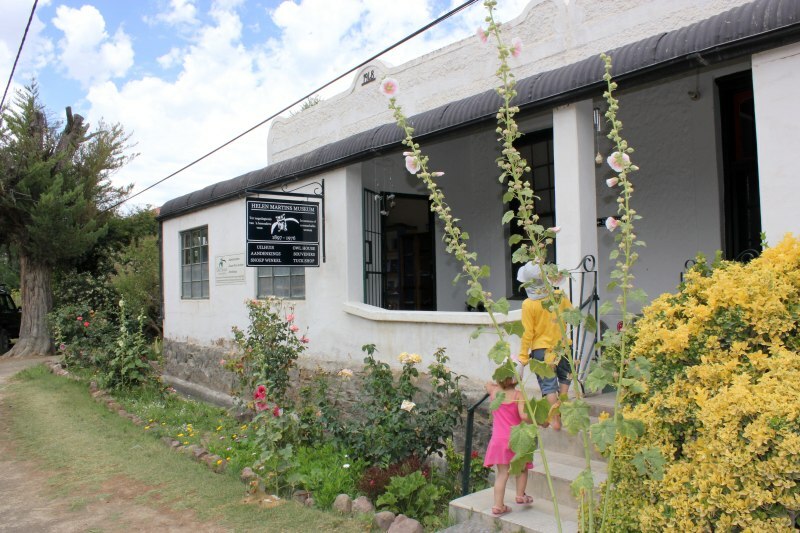 The town on the banks of the great Fish River is lined with restored Victorian houses, particularly Market Street, that necessitate a stop when passing through. 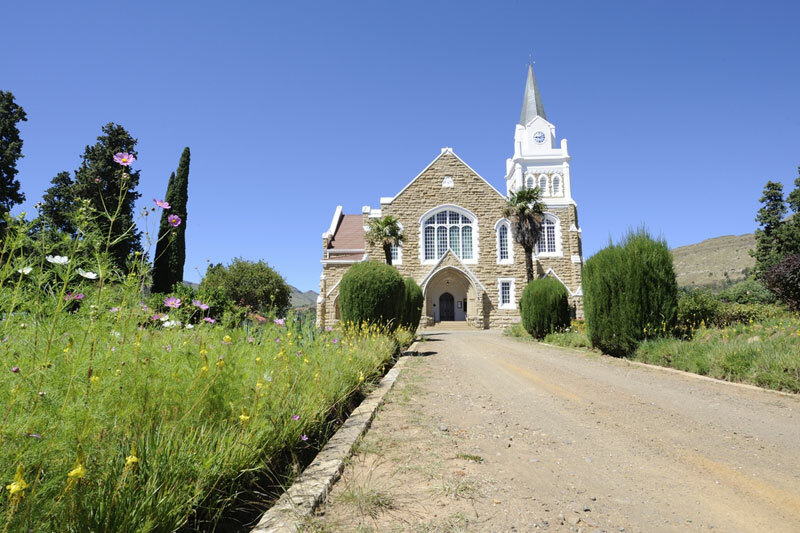 To add further interest Cradock’s sandstone church just happens to be an exact replica of St Martins in the Fields, and Olive Schreiner, one of South Africa’s literary greats, lived here, albeit briefly. Her flat-roofed house is now a museum in Cross Street, and a festival in her name attracts writers and other visitors during winter. Look out for the wire wind pumps for sale on the southern exit of town. The university town filled with museums, galleries, restaurants and beautiful Victorian architecture is also nicknamed the City of Saints for its many churches; at least 40 of them. Squint a little whilst walking its streets, and you could be in a little English village on an unusually brilliant summer’s day. Things get really busy around winter when the annual National Arts Festival (including the Fringe festival) draws theatre buffs from around the country. 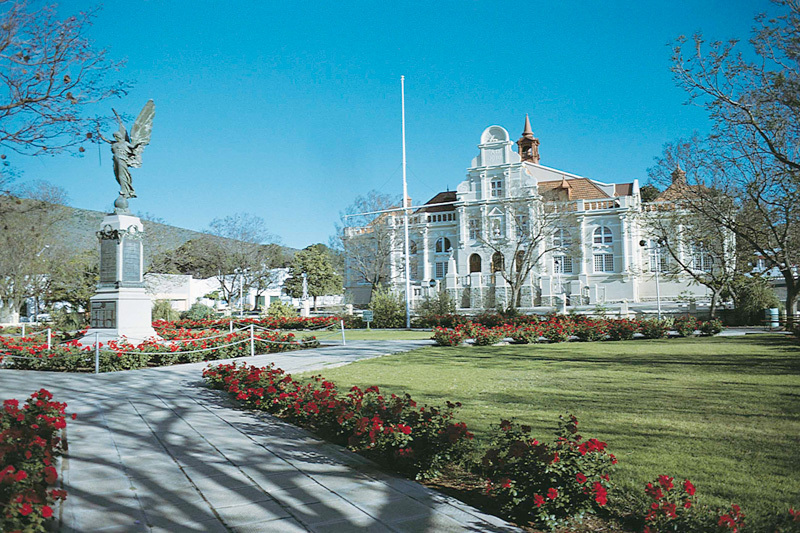 For things history explore battle sites fought when Grahamstown functioned as a border town of the British Cape Colony. 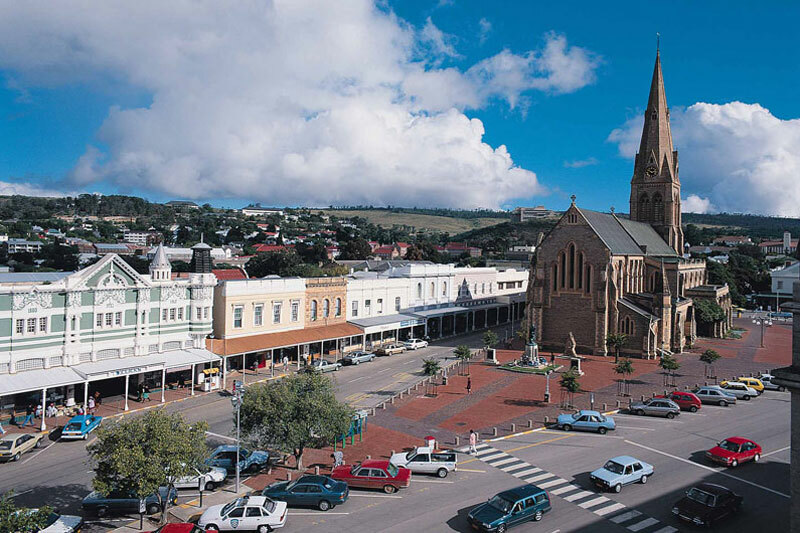 The Karoo town of Graaff-Reinet lies in the heart of the Camdeboo in the curve of the Sundays River, its streets lined with a plethora of historical buildings and restored pre-Victorian houses that will keep you busy for hours on historical tours and visits to museums. Its NG church, charming collection of shops, delis, bakeries, coffee roastery and locally brewed beer make it every bit as entertaining as your average Western Cape wine route town. The added bonus of the Valley of Desolation alongside town gives it an extra edge. 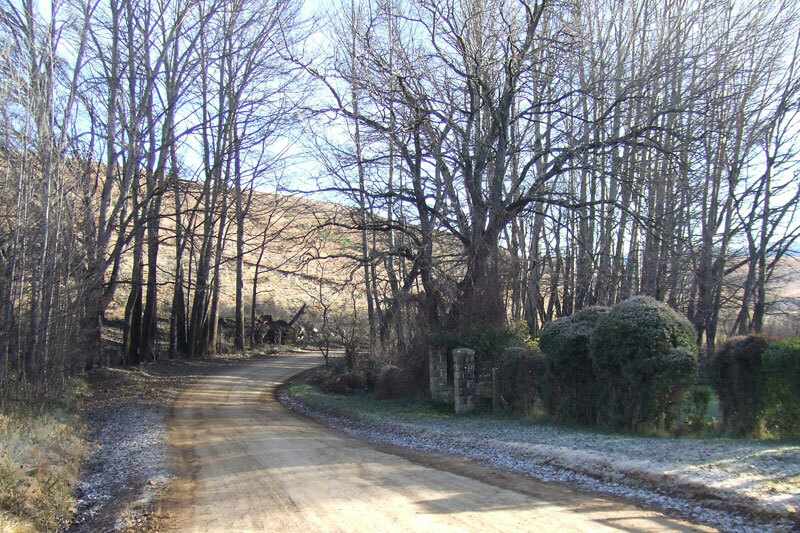 A case of former off-the-beaten-track town made good, Hogsback lies up a fairly taxing pass (although you won’t need a 4×4) in the Amatola Mountains, 145 km from East London. The village gives new meaning to ‘away with the faeries’, and is best described as a little piece of England, not least because of its mists, exotic trees and snowfalls. This is prime hiking country, with an incredible collection of short and long trails (look out for the hogs painted on trees). 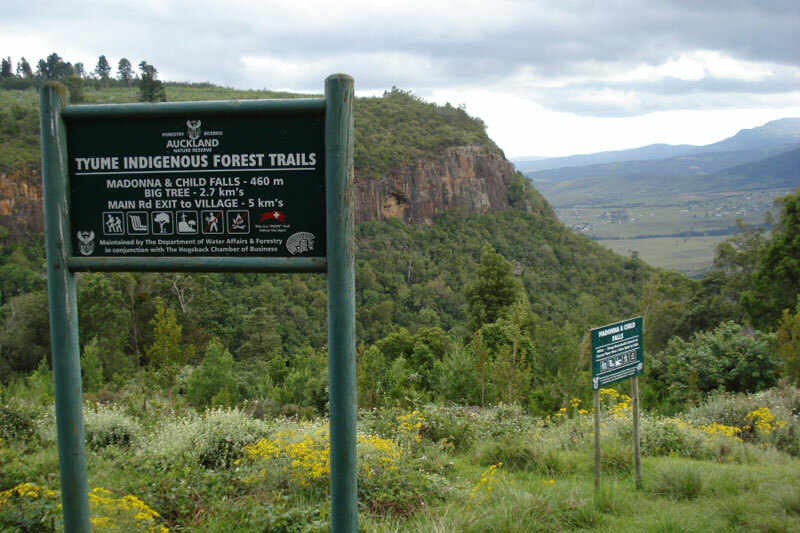 Hogsback is also the end point of the daunting 106 km, six-day Amatola Hiking Trail. Once here, you might not leave. 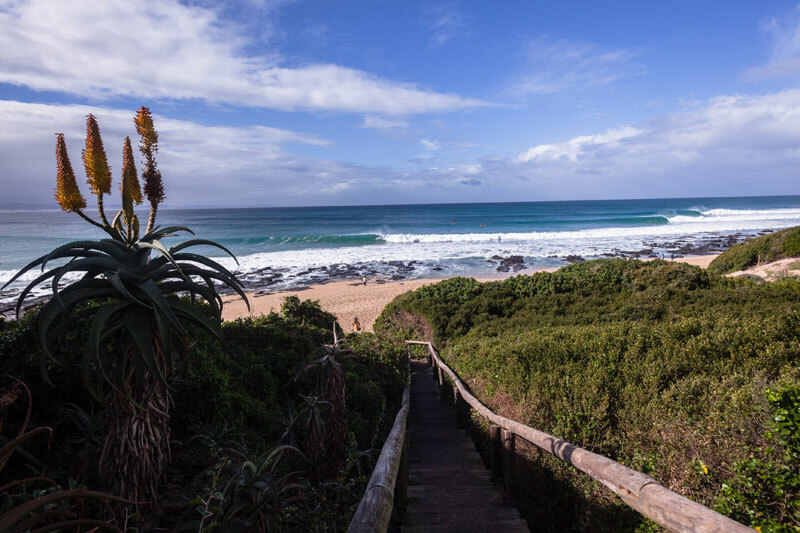 Every bit as famous for its annual matric Rage Festival as it is for its surfing competitions (it’s one of the world’s top surfing destinations), Jeffreys Bay, or JBay, is your quintessential beach town. And whilst the 300 metre bomb distance at Super Tubes (between Boneyards and Impossibles – said to be the most rippable section of waves) will have surfers salivating, there are fabulous swimming beaches where you can spot whales and dolphins. Avoid during the holidays. This little town’s setting up against the Witteberge, where snow plays a big part in its winter attraction, is beautiful; the kind of beautiful that has you wanting to stay a while and simply wander its wide, dusty roads at sundown to catch the light as it filters between the oak trees and basks the character cottages in a romantic hue. The Dutch Reformed Church stages a now famous three-day Passion Play at Easter. Home of the Owl House, Helen Martin’s intriguing concrete and glass sculpture domicile, Nieu Bethesda is fast becoming an artist’s colony and place of unusual offerings, like the Brewery and Two Goats Deli just beyond the river crossing where anyone with a nose ends up enjoying a plate of cheese and salami with a homebrewed ale. Its harsh, hot summers, winter nights that border on freezing, and no street lights do nothing to prevent visitors from ensconcing themselves in the artsy village. The epitome of the Wild Coast, Port St Johns is a backpackers’ destination at the other end of the R61 from Mthatha on one of the most incredible drives on the Wild Coast when it comes to scenery. Rural Eastern Cape is littered with rondavels, forest and grassland, lush hills and the sea. Town is divided into three parts – First Beach (where, surprisingly, you can’t swim), Second Beach, 5 km west of town (where you can), and Pondoland Bridge (popular amongst fishing fundis). But it’s the river mouth that wins the scenery award. 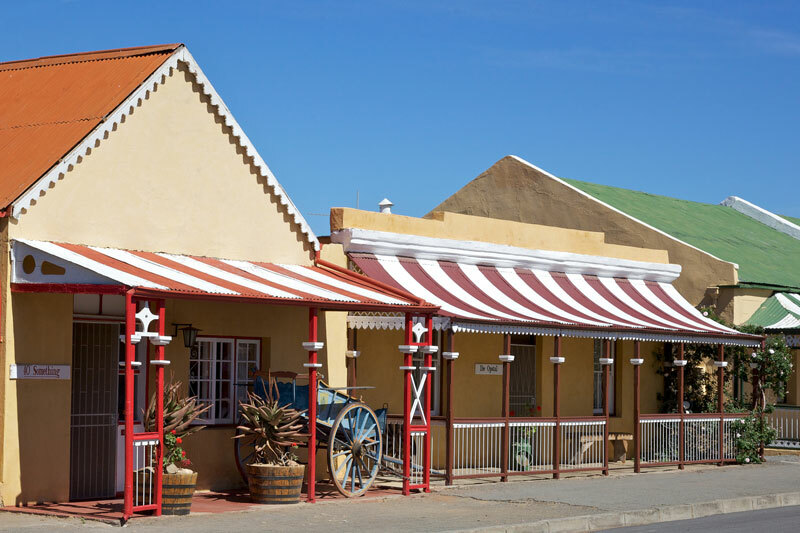 Easily one of the prettiest villages in the country, Rhodes lies up in the Eastern Cape Drakensberg, its dust roads lined with Victorian tin-roofed cottages, most of them for hire during holidays as permanent residents are scarce (many have decamped for the cities to make a living). It’s a popular destination for hikers, trail runners and 4×4 enthusiasts intent on stitching the dragon’s tail (driving the 8 mountain passes in the area).